I favor pearls onscreen and in my private life. 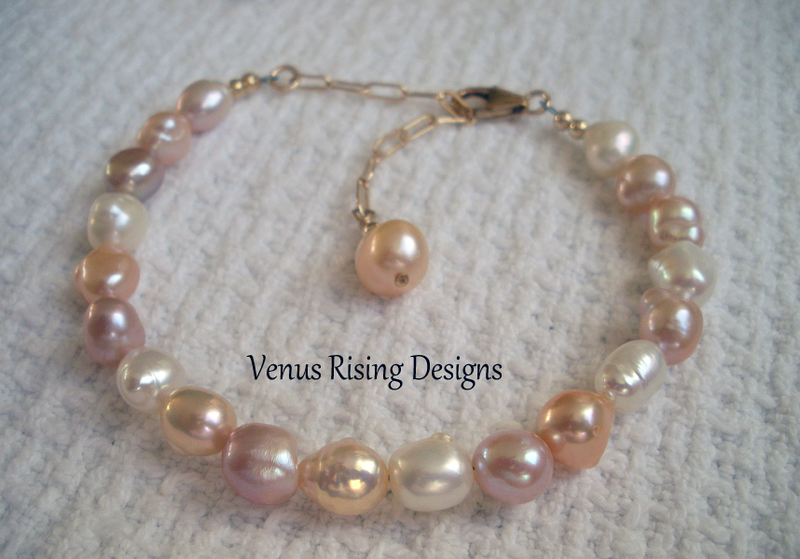 Such a feminine bracelet in soft, shimmering freshwater pearls in white and the lightest shades of cream, pink and lavender. It is adjustable from 6-3/4" to 9"; I can adjust the chain length if needed. Goldfilled beads, clasp and chain.